The Fly Baby is a home-built, single-seat, open-cockpit, wood and fabric low-wing monoplane, that was designed by famed United States aircraft designer, Peter M. Bowers. 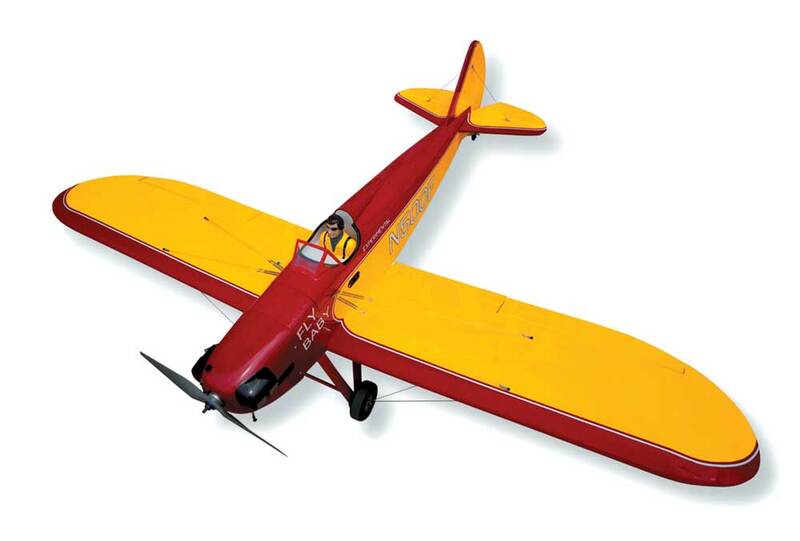 The Seagull Models Fly Baby captures the popularity of this unique home-built airplane. Balsa and plywood construction, along with superior laser-cut design, delivers lower weight and stable flight performance. Just like the full-size, the Seagull Fly Baby is simple to build, great to look at, economical to own, and a real joy to fly. Next Flying An RC Corsair From The USS Saratoga!